The SOG Huntspoint Boning Knife is different from anything else SOG makes. 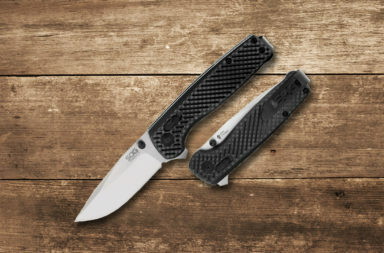 This American-made beauty was listed as one of the best new hunting knives for 2013 by Field & Stream, but it’s often overlooked by SOG’s tactical fan base Don’t make that mistake and miss out on the SOG Huntspoint Boning Knife. 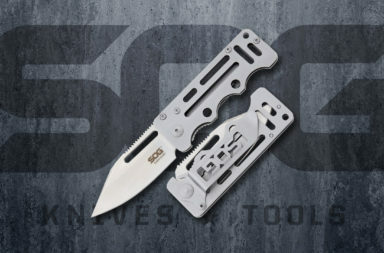 SOG often uses AUS-8 for their blade steel. While AUS-8 is a nice steel for combat situations, it’s not the premium steel that hunters look for. 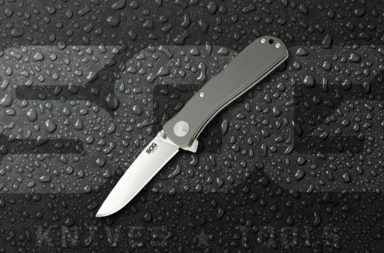 To appeal to the hunting crowd, SOG manufactured the Huntspoint with premium S30V stainless steel. S30V is a powder steel with uniform carbide distribution. This gives it superior strength and durability and offers excellent corrosion resistance and superb edge retention. The flat-ground blade was designed for de-boning game, but it’s a versatile design with many practical uses. 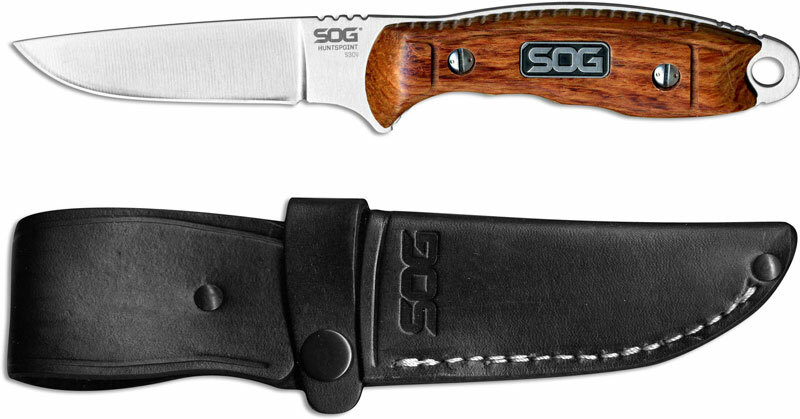 Typically, you’d see glass reinforced nylon handles on a SOG fixed blade, but this model is outfitted with wood handles. Double screw rivets hold the rosewood handles to the tang. It’s an ergonomic handle design with finger grooves that allow for a secure grip. The base of the handle even includes a lanyard hole for those who use them. 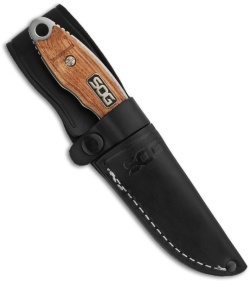 The SOG Huntspoint Boning Knife comes with a traditional black leather sheath with white stitching. 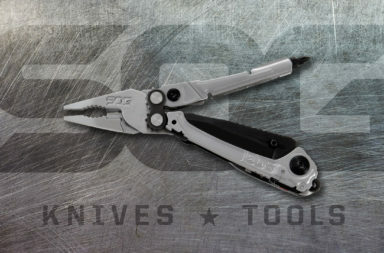 It features a snap that secures the blade in place and prevents it from falling out while you’re on the move. 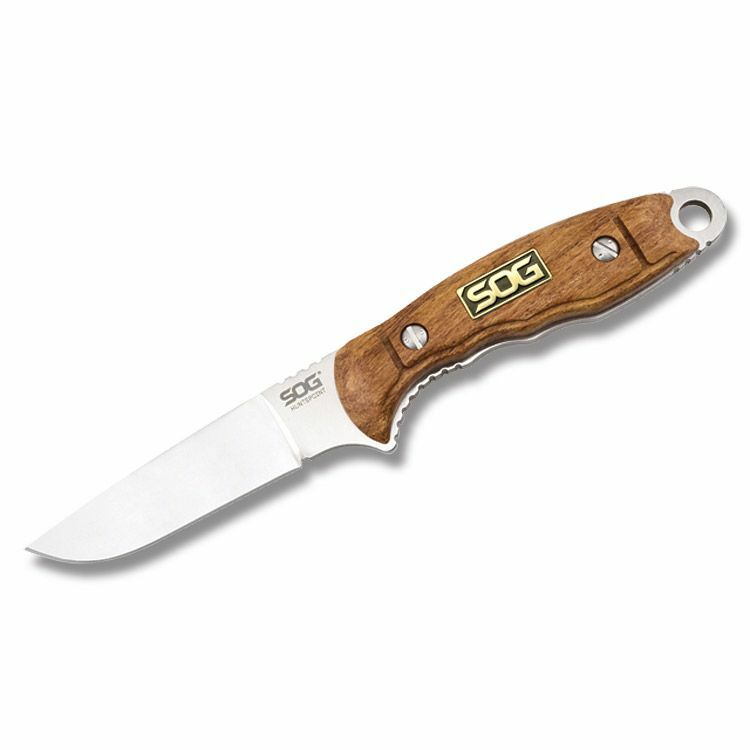 The SOG Huntspoint Boning Knife is a beautiful hunting knife, but it would also make a great camping/hiking carry. We really liked the look and feel of this knife. You can find it by clicking any of the links in this article or by clicking the button below.